Just because the summer is coming to an end, doesn't mean you don't have time for one last party. Pick a date. Call your friends. And head to the store, because it's time to throw an end-of-the-year backyard blow out. Here are a few tips to help everything go off without a hitch. As summer turns to autumn, the sun sets a little earlier and the daily temperature is a little bit cooler, so prepare accordingly for your party. Prep a bonfire or fire pit in the back yard before the party. That way, come night fall, all you need to do is light a match to give your guests a place to congregate around. Similarly, having a few strings of light or paper lanterns running along the yard can create a welcoming atmosphere as well as make it easier for everyone to see one another. While you're preparing for the late night party, make sure you have large blankets and sweatshirts on hand for any guests who get chilly. Make sure you have backyard games ready. You're on the line between summer and fall. That gives you an excuse to make drinks from both seasons in your frozen concoction maker. Try spicy margaritas, watermelon cocktails and frozen lime gimlets along with cider and maple-flavored cocktails. Don't put away that grill just yet. This is a great last chance to serve up your famous ribs, hamburgers, sausages or any other grill foods before it gets too cold. Go all out for your party - grill everything from appetizers to the main course and dessert. You may not get to use the grill again for months. The summer and fall are probably the two best times for outdoor games. 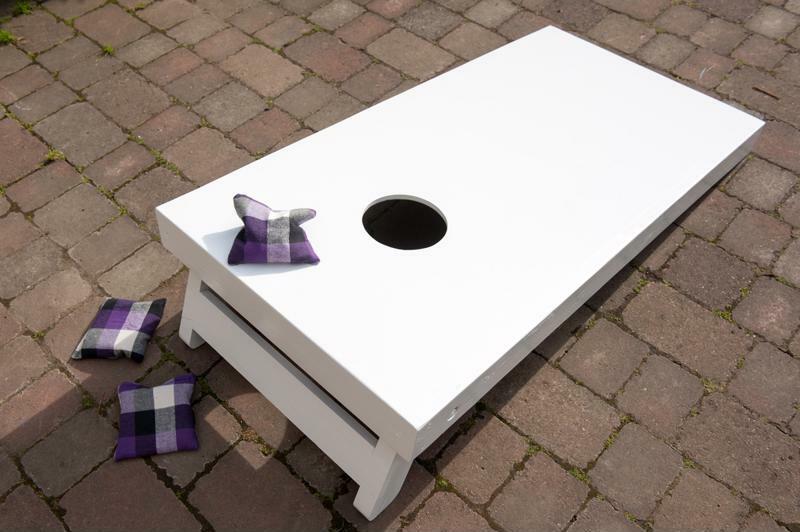 While some games dominate the sunny summer beach, like bocce and horse shoes, others are more at home in the tailgate area of football stadiums, like corn hole and ladder ball. Make sure to have a few of each, along with volley ball or football, if your guests are interested. Fun competition is a key component of any outdoor party.